We’re famous for our ever-growing range of delicious sandwich fillings, all made on-site in our state-of-the-art kitchen right here in Basildon, Essex. 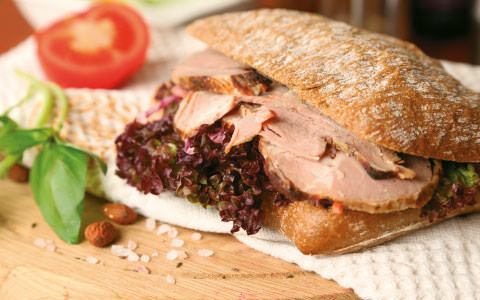 We have a specialised team dedicated to dreaming up and creating our sandwich fillings. Our menu includes all the favourites, some of our own flavours and regular specials such as the Christmas Full Monty and Firecracker Chicken for bonfire night. 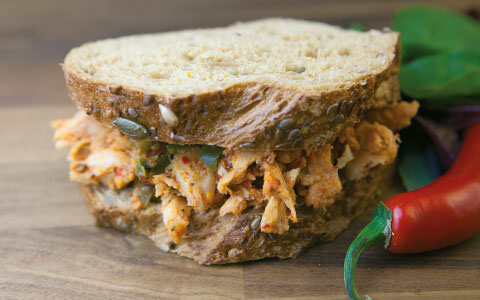 We can also create bespoke sandwich ideas and fillings just for you. Get in touch to find out how! Our kitchens are state of the art and every year they are SALSA audited, which is the UK’s leading food safety certification. The audit ensures we are meeting stringent food safety standards and since joining in 2014 we have continued to annually receive the prestigious SALSA certificate. As the leading supplier of sandwich fillings in Essex, we use only the freshest ingredients, including our own Buckland’s mayonnaise, and everything we produce for our sandwiches is halal. All of our sauces are tried and tested by our in-house, Essex based team so nothing goes out until it’s been certified delicious. We pride ourselves on the cleanliness of our kitchen and the quality of the sandwich fillings we produce. What’s more, the kitchen was extended and renewed in 2015 to cope with demand. Everything is run in line with HACCP regulations and we provide full traceability of ingredients. Available in 1kg or 500g.